The dangerous thing about Paradise is that it is situated south of Puerto Maya Cruise Ship Pier. If the current is strong, during your Cozumel or Caribbean Dive Vacation you need to be careful to make your ascent prior to drifting into the cruise ships. Buy a Coral Reef Guide for learning about the coral. It is the first reef when entering the Marine Park. 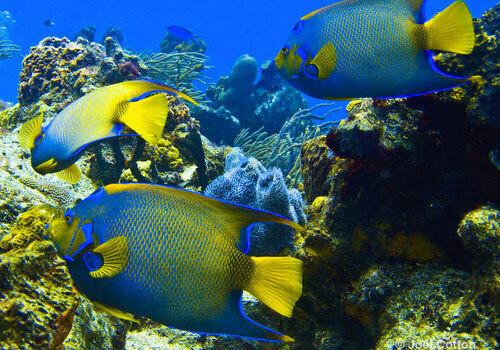 Cozumel Paradise reef is a popular second tank Cozumel Diving. 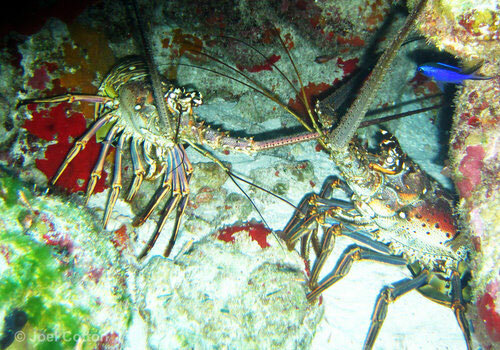 Experienced divers can dive it from the Caleta as a shore dive. It will take some strong kicking up current to get back to where you started. The current runs from south to north normally. You will start across from the entrance to the Caleta and drift north. There are 2-3 coral ridges that parallel the shoreline. 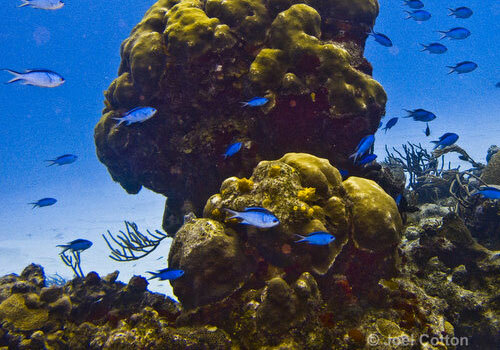 Some Cozumel Dive Master will lead you away from the beautiful coral heads into the sandy area towards shore. 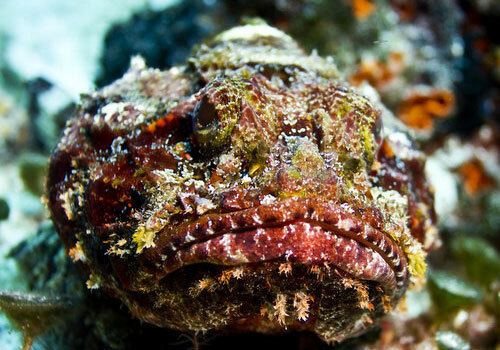 You might be wondering what this is all about, until they point out a nicely camouflaged Scorpion Fish, or the highly sought after Seahorse. While in the sandy area, keep an eye out for Stingrays and Peacock Founder. Watch out where you touch the bottom with your hand, if stopped to look at something in the sand.